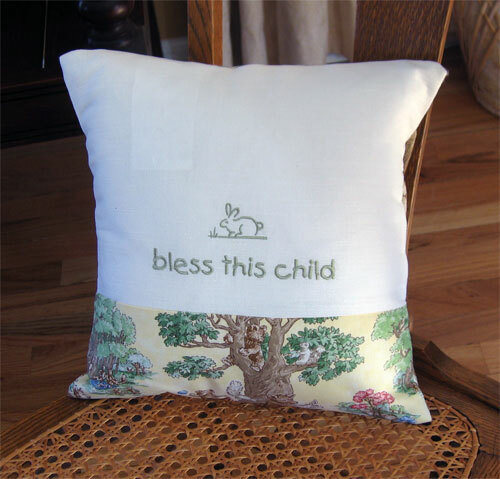 'Bless This Child.' 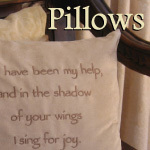 This stunning pillow has been made with white cotton material on front and a printed back. The pillow measures 12" x 12".